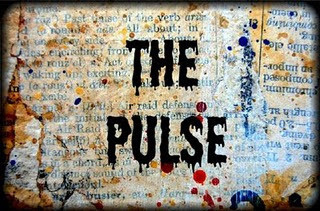 Welcome to the 6th edition of The Pulse - a survey in words and pictures of the online artist community. The Pulse is a collaborative project that aims to introduce you to new artists, help you get to know familiar faces even more, further your own artistic expression, and allow you access into the creative hearts and minds of a very talented crew of individuals. Stay tuned for a new post every Wednesday and see all previous posts in the series here. The best tool for me ever is just a plain pencil...with an eraser. I can take it anywhere, the cost is small, rewards are huge and unlike life, I can erase anything I don't like ;-) It takes me to a happy, creative place at any moment, from my home to a world far away. It is silent, causes no confusion (except for the artist), has no political agenda and its results can bring a smile to recipient as well as the creator. 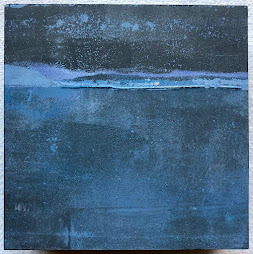 The tool I like to use to create texture in some of my paintings is the palette knife. This took some consideration, wondered if it would be my beloved printing press...but it's not...it's Brusho and pastry brushes, which make interesting marks. All that money I've spent on fancy products and the humble pastry brush and powdered watercolour win the day. My favorite technique and tool go hand-and-hand, as I love blending colors using an ink blending tool. 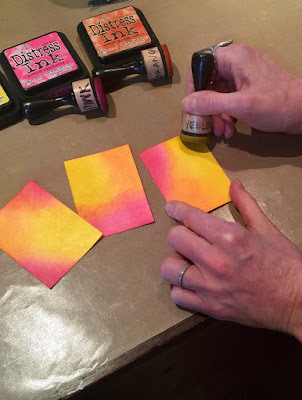 I like saturating the foam on the blending tool and building up layers of colors on my projects, and I've not found a better way to do it than this tool from Tim Holtz/Ranger. My metallic paint/mica flakes which I mix with soft gloss gel to use as paint. I love the soft sheen and glitter it imparts and the depth it adds to whatever I am working on. I especially love using the gold or the bronze around the edges and into the corner of a painting to give the piece a dreamy quality. Stencils. 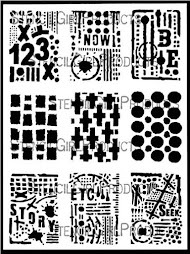 To me stencils are so much more than just a means to add random shapes, decorative texture or patterns to projects - I love to layer with them to create sceneries, add words or numerals, or simply use them as a kick off means if inspiration fails to strike. 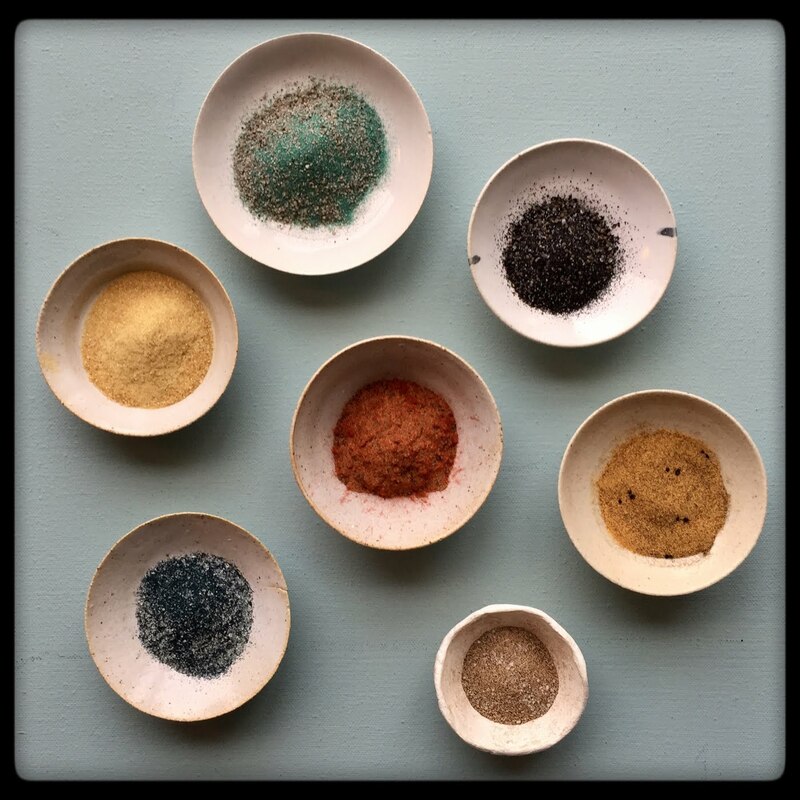 Scraping paints or pastes with a palette knife through a stencil onto a substrate is a technique I turn to when in need of some creative me-time but without a precise project in mind. 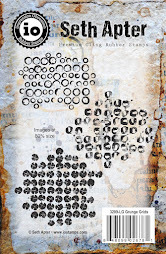 I also love to use the negative left over shapes from die cutting as stencils. I love that moment when I lift a stencil to find out if I succeeded in creating the wished for effect. LOVE reading about all these techniques. Thanks Setho. Love the pulse. 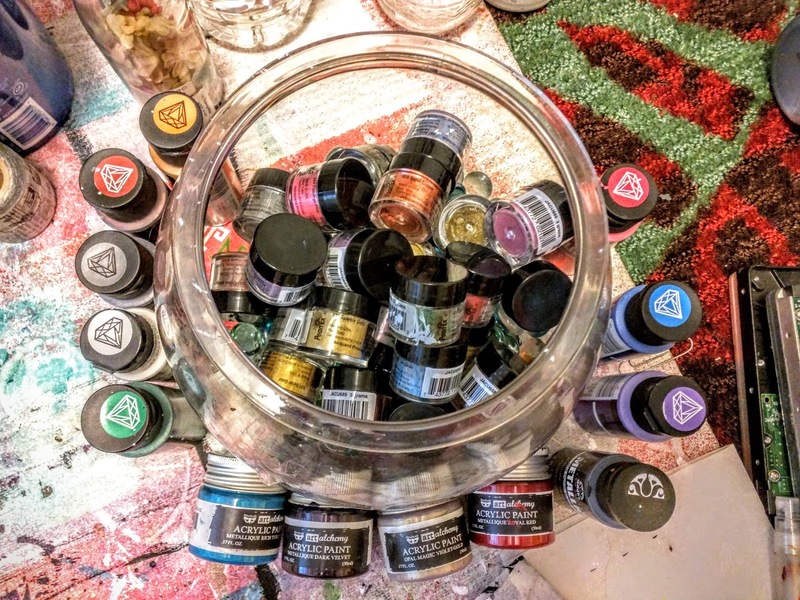 Each artist unique and each tool/technique effective. 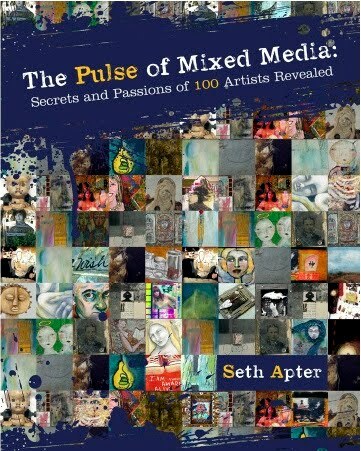 Thank you Seth for including my art in "The Pulse". Your blog has been so educational....the more I learn, the less I know! Thanks Seth. I ditto Raylee regarding "more and less". Happy to be among so many creative people. Looks like my collection of must-haves will be growing. Thanks for curating The Pulse again, Seth. I learn so much from these series and love seeing everyone's favorites. Thanks for including me! So many wonderful and talented artists here! Really happy to see Claudia and Marjie featured! The Pulse is back with a total BANG!